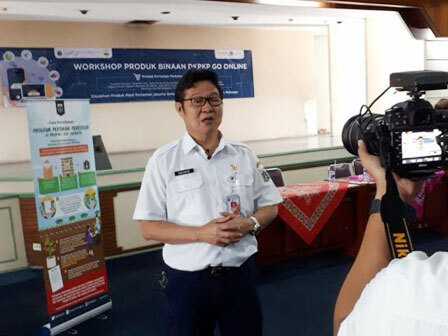 Dozens of agriculture and processed commodities field entrepreneurs have attended in workshop held by Jakarta Maritime Agriculture and Food Tenacity (KPKP) dept. with Smart City and one online shop yesterday.
" We cooperate with Jakarta Smart City and online shop to hold workshop"
Jakarta KPKP Dept. Head, Darjamuni conveyed, this workshop shares knowledge about developing urban farming products to entrepreneurs who are gathered from five Jakarta regions. "We cooperate with Jakarta Smart City and online shop to hold workshop thus in the future our local products can go online," he mentioned, Wednesday (2/21). He mentioned, 21 entrepreneurs who run in vegetable and fruit field and 35 entrepreneurs in urban farming processed product have attended in this workshop. Through this activity, soon his side will distribute urban farming products in online shop. Urban farming corps that will be distributed are vegetables, fruits, decorative plants, and medicinal plants. Meanwhile, processed commodities are bir pletok, instant red ginger, akar kelapa snack, banana chips, various herbal drink (jamu), biji ketapang snack, and aloe vera. "This is the implementation form of Ingub No. 14/2018 about Urban Farming Implementation and Great Design of Jakarta Urban Farming 2018-2030," he said.